The talented team of interior architects at Callender Howorth offers an exceptional selection of interior design services in the UK. Our interior designers in Sunningdale, Berkshire, oversee and manage the entire design process including space planning, furniture selection, installation and styling to ensure your home reflects your taste. Whether you are renovating a Victorian semi-detached house, redesigning a modern flat or starting from scratch with a newly built mansion, we can assist you with creating an unforgettable design. We invite you to browse our completed projects to get an idea of how our interior designers in Sunningdale can help you. The Royal Borough of Windsor and Maidenhead in Berkshire is one of England’s most exclusive locales. Sunningdale, like nearby Ascot, is an affluent village just 24 miles west of London, characterised by green spaces and mansions. The property market encompasses everything from Victorian three-bedroom semi-detached houses and flats for first-time buyers in modern blocks to luxurious detached houses. Banner Homes is developing Villiers House on London Road, a development of 15 flats with two bedrooms and a study. Northcote House is a beautiful example of Sunningdale’s lavish architecture. The Georgian-style mansion built in the classical style of nine bays with attached portico. Built in 1930, it is now a conference hotel, popular as a stunning wedding venue. Most residents are enticed by the genteel atmosphere of Sunningdale and its proximity to London. Callender Howorth’s talented interior designers in Sunningdale can help you create your perfect refuge in the Berkshire countryside. We’ll work with you to design and deliver the interior you want for your dream home. Why would you want to live in Sunningdale, SL5? Which famous residents live there? Sunningdale is a village that offers a safe and calm environment in a quintessentially English countryside setting. Local state schools are among the best in the country and the local comprehensive, Charters, was judged “outstanding” by Ofsted. The area is renowned for world famous sporting events such as Royal Ascot and the BMW PGA Championship at Wentworth. Sunningdale Ladies Golf Club is the oldest Ladies Golf Club in the country. You can always visit another golf clubs in the country, for example, the Porters Park Golf Club in Radlett. Notable residents include Cliff Richard, Gary Lineker and Diana Dors. Agatha Christie’s famous novel The Mysterious Affair at Styles, featuring iconic character Hercule Poirot, was named after her house in Sunningdale. There is an alluring combination of independent shops, chain stores and restaurants in the area and a large Waitrose is conveniently located close to Sunningdale station. The local eateries are top-notch, from Bluebells Restaurant & Garden Bar to Ascot Racecourse’s Pavilion Restaurant. Heston Blumenthal’s Fat Duck and Alain Roux’s Waterside Inn, are both Michelin-starred and situated in nearby Bray. Trains take under an hour to reach London Waterloo station and it is close to the M25 and other important motorways, thereby making it ideal for all national and international destinations. Our interior designers in Sunningdale, SL5, are on hand to assist with your project. 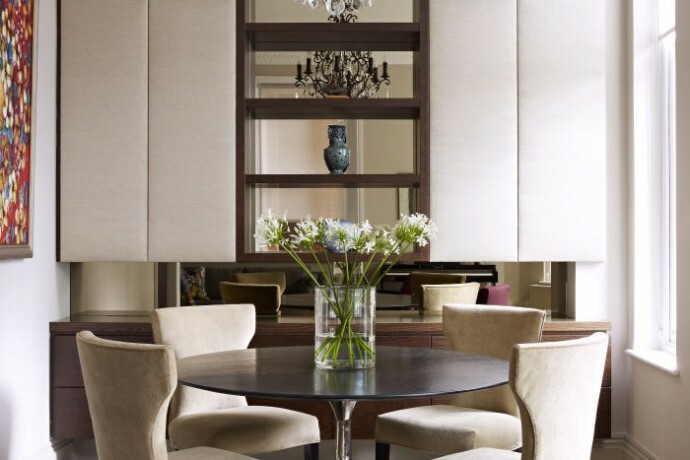 Contact our team today to discuss your Sunningdale interior design requirements.